There are several important things that set DeCoverly apart. We are a full time business with four decades of operating experience. We have a professional staff and a modern facility. Because of this we can guarantee our setters above and beyond what is typically available, and have the best warranty in the country. Our setters ultimately set us apart with their personality, natural abilities, beauty and intelligence. They are the best testament to what 100 years of thoughtful, dedicated breeding for a timeless ideal can accomplish. Lastly, we are unique in the experiences we all share with our Setters. 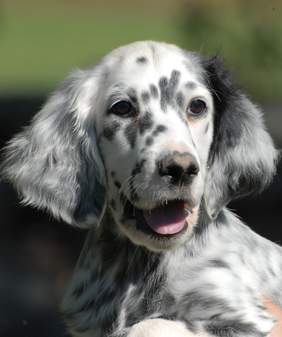 Our owners form a family with a common link; the love, appreciation and tradition of the English Setter as it was meant to be. We invite you to experience the DeCoverly difference.